It’s strange how much of a difference an English dub can make. That’s how I watched The Secret World of Arietty when I first saw it two years ago, and I found it to be one of the Studio’s lesser entries. Having watched it a second time for this piece, in its original Japanese, I not only enjoyed the film a great deal more, I noticed a ton more details in the story and dialogue that I either ignored or simply wrote off in the English version. While Disney normally does a good job with their English dubs of these films, this is one of the only exceptions in which it makes for a much worse product. But that’ll have to be explained later. As mentioned in earlier articles, Studio Ghibli was trying out two different new trends in their production process: trying to get more films out by hiring more new, up-and-coming animators to make their directorial debuts, and adapting pieces of Western fiction instead of the usual Japanese mangas and young adult novels they typically used for inspiration. 2010’s The Secret World of Arrietty (titled The Borrower Arrietty in Japan, and just Arrietty literally everywhere else) is a case of both trends being applied, with Hiromasa Yonebayashi, a key animator for various Ghibli films, taking the reins of a story adapted from the British children’s novel The Borrowers by Mary Norton, about a family of Borrowers: miniature-sized people who have to survive on their own in a world populated by the gigantic, dangerous “human beans”. 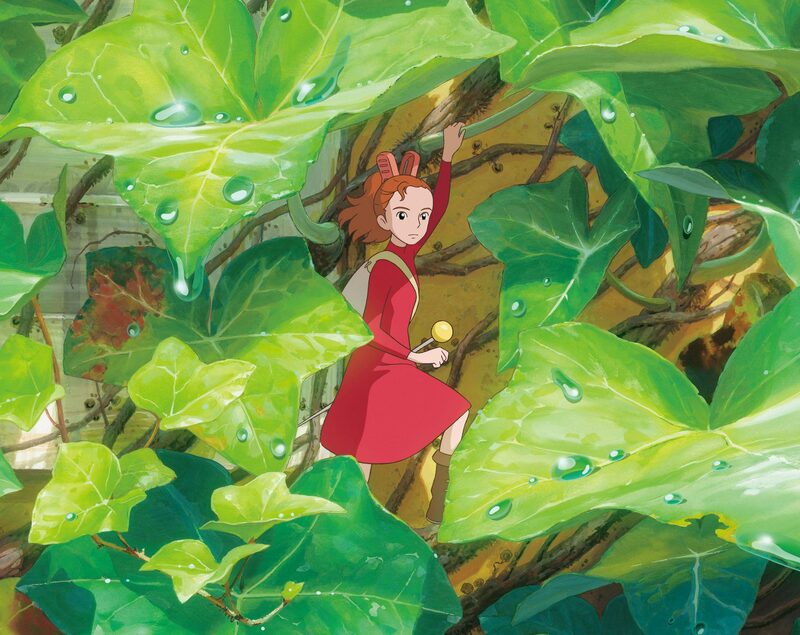 The film follows that same basic story, focusing on the teenage Borrower, Arrietty, as she begins her first “borrowing”, which involves the family venturing out from their miniature home under a human house to “borrow” items that the humans would not miss — food, light bulbs, tape, etc. — to ensure their survival. 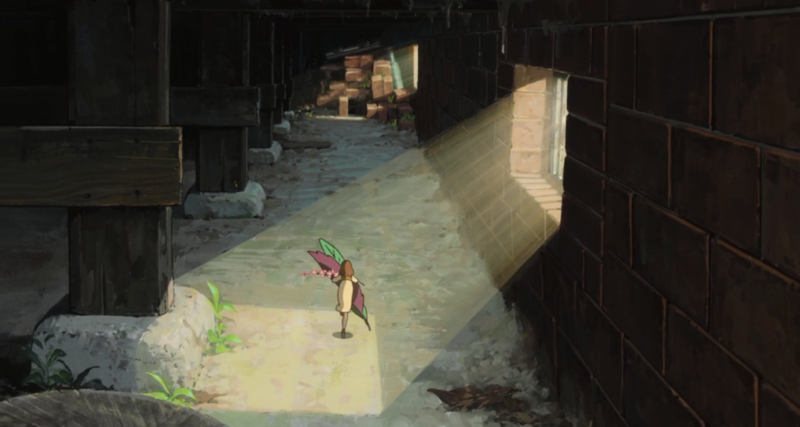 As Arrietty ventures outside, however, she’s accidentally seen by an ailing human boy who’s just moved in. Because of this, the family has to consider the prospects of moving away to a suitable new environment, lest they are discovered or, worse, killed. Whereas Hiroyuki Morita was cribbing various plot details and scenes from Miyazaki’s Spirited Away with his debut film The Cat Returns, Yonebayashi’s Arrietty is a deliberate cribbing of the themes and techniques Miyazaki utilized in My Neighbor Totoro (it certainly doesn’t hurt that Miyazaki is credited as a co-screenwriter for the film). All of the action in the film takes place in a single house secluded in the countryside. Yonebayashi relishes in quiet, contemplative moments; a lingering melancholy invades its innocent world, and every character — especially the tiny ones — is so small compared to the natural world surrounding them. The film is rather effective at enveloping the viewer in its simple yet fully realized miniature world, and Yonebayashi does an excellent job at emphasizing the scale of both his environments and characters, and juxtaposing them in a thematically involving and emotional manner. Acts as simple as moving from one kitchen counter to the next are rendered dangerous when through the perspective of the Borrowers, meaning that every second of their lives is precious and deeply fragile — much like the innocence of those little girls in My Neighbour Totoro. This juxtaposes nicely with the regular-sized human character of Sho (Shawn in the English versions), who has nothing but all these quiet moments and tiny, minuscule details to focus on due to a nearly-fatal heart problem. Even though he’s considerably larger than the Borrower family, he happens to be just as fragile as them when venturing forth outside. Coupled with this existential longing is an element that doesn’t appear often in Miyazaki’s work: an acute social consciousness. 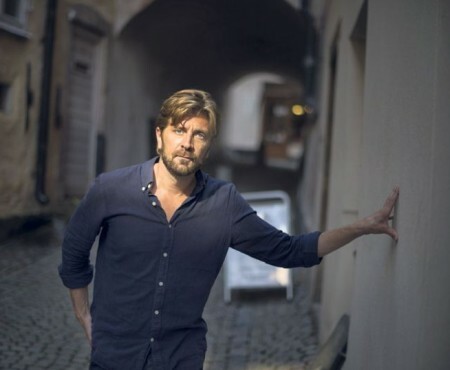 The film can easily be read as a very broad metaphor for how social minorities live in the very fringes of their respective environments. Perhaps this isn’t intentional in the filmmakers’ part so much as it is a detail carried over by Norton’s source material, but Yonebayashi does develop this idea in a few scenes. One of the film’s most wondrous moments involves Arrietty and her father Pod discovering a dollhouse in Sho’s room. 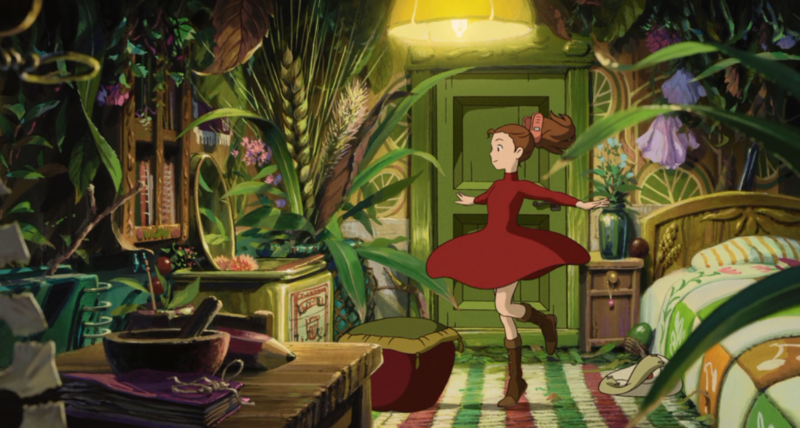 They walk inside and Arrietty is completely floored by the idea of a traditional human-like house that is made exactly for their size. For once, the tables are as high as her waist and she could fit her entire body in a chair. For an incredibly brief, fleeting moment, there’s the hope of a place in the world that these character can feel they belong in. But of course, they could never live alongside the humans. Even when they’re being friendly, they’re a destructive force to the Borrowers. There’s a scene later on of Sho attempting to renovate Arrietty’s home by lifting up their old kitchen and replacing it with the one from the dollhouse. A kind, simple gesture is played here like a monster movie, as the ground starts to shake, the ceiling is lifted up, the whole room is trashed by the quaking of the large human’s movements, and a large, King Kong-sized hand reaches out from the ceiling. Pure as the intentions are, it leads to the destruction of their home, as well as to their discovery by a mischievous housemaid. One of the lines that really struck me in this second viewing, which I somehow either didn’t catch or shrugged off when I first saw it in English, was the mother Homily’s fears that they may be the last Borrowers left in the whole world. That kind of fear and sadness managed not to come across to me in the English version. This is largely caused by Amy Poehler’s casting as Homily. Talented a comedic actress as she is, her penchant for injecting her personality and comedic sensibilities into the role makes the character, and thus the source of a lot of the film’s more nervous and fearful traits, seem excessively broad and conventional, sucking the air out of the introspection you get from more quiet scenes. It made me appreciate the preciseness of the Japanese voice casting all the more, which emphasizes more natural voices that get the point across without distracting from the emotions on hand. Even the more talented vocal performers in the English version, like Will Arnett as Pod and Bridgit Mendler as Arrietty, are clearly playing up their voices, whereas the Japanese voices aren’t just inhabiting the characters, but acting as extensions of the animated environment around them. This isn’t to say that the Japanese version is a perfect film. The original songs by French musician Cécile Corbel come across as a bit too cutesy-poo for the otherwise thoughful tone of the film, and while Yonebayashi attempts to create a somewhat sympathetic villain in the housemaid Haru, he ends up making her schizophrenic: a natural, human figure whenever she’s interacting with Sho, and a scheming, simplistic Saturday morning cartoon villain whenever she’s alone. Not to mention that it lacks the mature pathos characterized by Miyazaki and Takahata’s work. 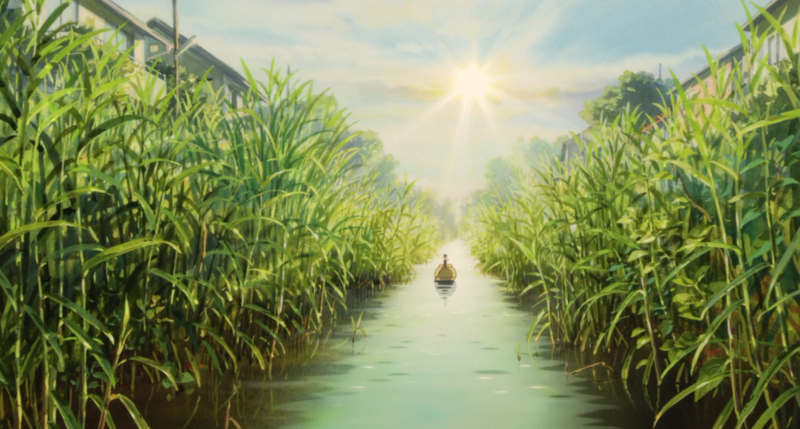 The emotional resonance of this film is at its best when moments are deeply quiet, and at its worst when Sho tells Arrietty that “You’ve given me the courage to live” — the most saccharine tugging of heartstrings you could ask for. There are definitely some undeniable signs of this being a first-feature from an “unproven” director, but there’s also a confidence in Yonebayashi that elevates the material a great deal. Namely, the film’s rather somber, ambiguous conclusion, as we’re never given the details regarding the fate of either Arrietty’s family or the boy Sho. 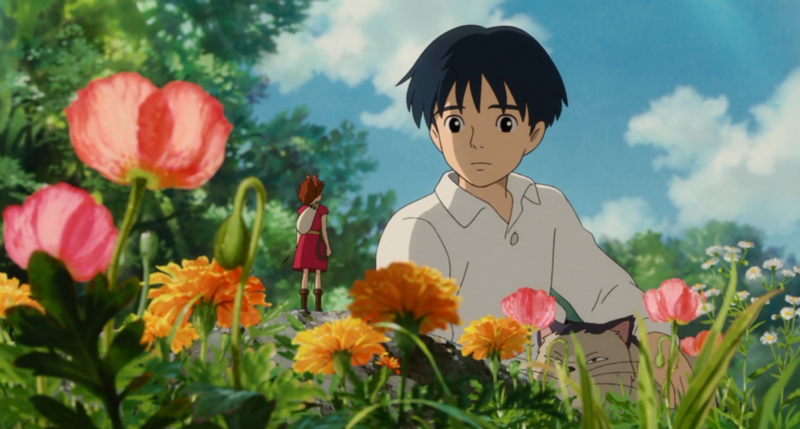 It’s implied that Sho will not survive his heart surgery (he himself says that his condition is hopeless), while Arrietty and her family ride off with another Borrower — who resembles a Native American tracker — in search of a new home. We never see whether or not they make the journey safely, or whether they do find more of their kind. After all, the world is big and seemingly not made for these people. But they’ve made it that far, and that’s all that seems to really matter for them. Sure that “You’ve given me the courage to live” line is cheesily written and executed, but it’s also, in its own way, about a very different kind of courage. 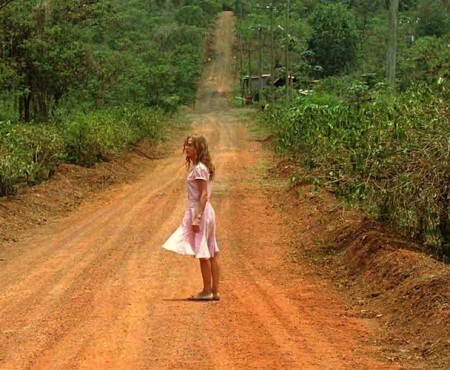 The film is not a grand adventure, but just a day in the life of perpetual survival. Courage isn’t anything special in this world: it’s an everyday facet of life. Characters searching for belonging in a society not suited for them appears to be a recurring theme in Yonebayashi’s work, as his next film, When Marnie Was There, has just been announced in Japan — also adapted from Western source material, about a ghost-girl who befriends a lonely human. Considering Yonebayashi shows a lot of potential for making something truly great, I am eagerly awaiting his next one, which has been getting a lot of buzz for going for a darker, more atmospheric Ghibli tone reminiscent of perhaps Grave of the Fireflies or Spirited Away. But that’ll have to wait for much later, as the film comes out in July this year in Japan and probably won’t make it stateside until much later. Until then, however, we return to Goro Miyazaki and see if he could redeem himself from his tragic mishandling of Earthsea, with a look at the considerably more well-regarded From Up On Poppy Hill. Interesting that you bring up the difference between the US and Japanese dub in altering your experience of the film. I certainly appreciate ‘Arrietty’ in the same way you do the Japanese version. However, I have only watched it in the UK dub (did you know a UK dub existed as well?). Based on what you said about the US dub I think the UK dub is more appropriate to the tone of the film – a subtle added benefit is that the English accents fit seeing as this is adapted from English material. Maybe worth a check-out, at the very least to have seen three versions of the same film. Anyway good review, and I hope to see ‘From Up on Poppy Hill’ soon enough. I heard of the UK dub upon doing research on the production but sadly haven’t seen it yet. I would like to at some point, considering I really like Saorsie Ronan and think Mark Strong is good casting for Pod. But that’ll have to wait for another time. From Up On Poppy Hill will be coming soon. I personally liked the dub’s happy ending. Sho is confirmed to have survived and hears rumors of things disappearing from his neighbor’s home.